3D Printing engineering, business, legal and fun! 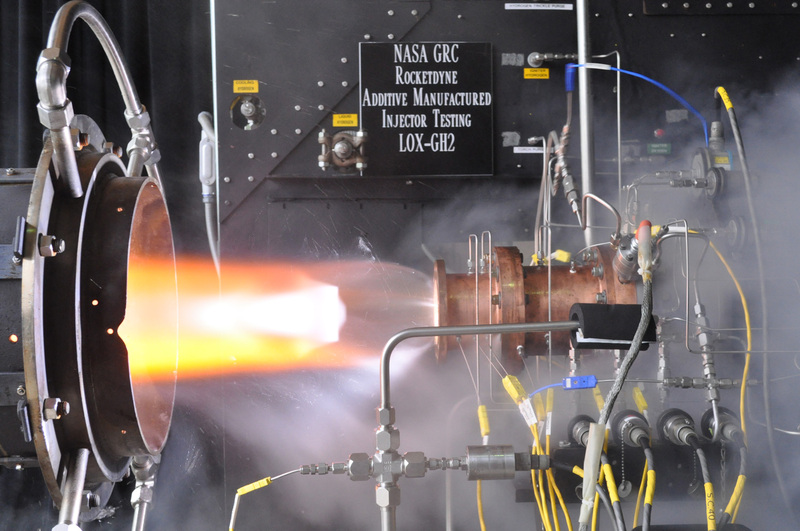 A liquid oxygen/gaseous hydrogen rocket injector assembly built using 3D printing technology is hot-fire tested at NASA Glenn Research Center’s Rocket Combustion Laboratory in Cleveland, Ohio. Sometimes people question the strength of 3D printed parts and if it could really replace welding and CNC for the most extreme applications. Here’s a great article about a 3D printed rocket part that accumulated 46 seconds of total firing time at temperatures nearing 6,000 F while burning liquid oxygen and gaseous hydrogen, showing no difference to standard parts. Any questions? This entry was posted in Engineering. Bookmark the permalink.